As one of the largest marble product wholesalers in Florida, Stonexchange offers top-quality window sills for contractors, home improvement centers, and window companies. When ordered in bulk, prices for these fantastic sill products are surprisingly low, and customers have the benefit of always maintaining a full inventory of every desired style and color. 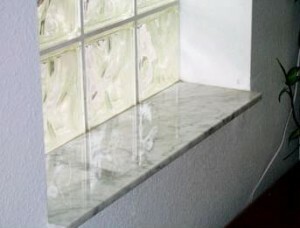 Marble window sills are the most common type of window sills used in Florida. Its popularity is due in part to the traditional style of window construction seen in this part of the country. Many building contractors take on residential construction projects that specifically call for a certain style and color shade of marble for use as an interior sill. Thanks to our specialized import operation, we at Stonexchange are able to ship large orders direct to our commercial customers at fantastic savings. Our business is geared toward commercial customers such as installers, window product retailers, and home improvement contractors. One of the problems associated with fine-quality marble is the per-piece cost. Since we only ship full crates to our commercial customers, we guarantee the lowest possible price. What’s more, we are happy to mix and match different sizes and styles when seasonal business requires it. Wholesale window sills means window sills sold in full crates, each packed with 100 pieces or more. Retailers wanting to maintain a full inventory during the busy construction season will save a considerable amount of money when purchasing from a direct importer. Our import operation is in partnership with quarrying and manufacturing operations overseas. Some of the world’s finest quality marble is quarried in Southern Europe, Turkey, and other areas near the Mediterranean Sea. We personally oversee the cutting and shaping process, employ strict quality control measures, and perfectly match color shades according to the styles we list on our product pages. Because we are constantly shipping large quantities of material to our U.S. headquarters, finding the perfect size, style, and color to match the client’s instructions or the construction blueprints is virtually guaranteed. When a retail outlet orders in bulk from our company, restocking the same product at any time of the year is simply a matter of placing a new order. Customers who order in bulk will never have to worry about running out of a specific size, style, or color. The lead time for ordering is approximately two months, but once a supply is in the hands of the customer, scheduling reorders is easy. Shipping marble can be expensive when single pieces are ordered. Marble is a heavy stone, requiring expert packing. Shipping this product overseas for distribution is far less expensive when full crates are utilized. This not only reduces the freight charges, it also means less expensive import tariffs. These savings are passed along to our commercial customers. 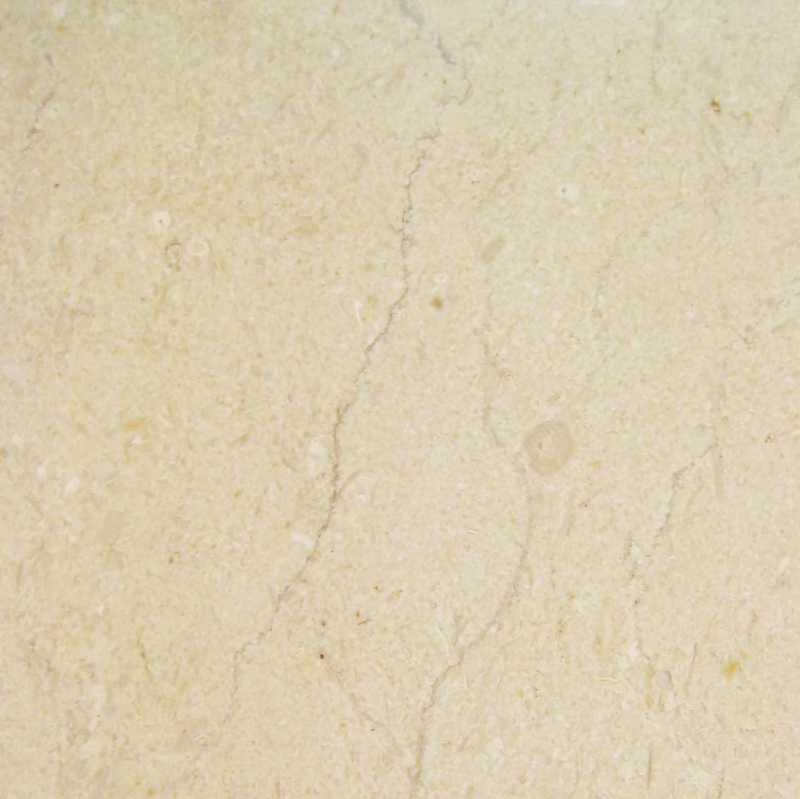 Marble and other natural stone products are easily broken when shipped in small quantities. Bulk shipments are packed tightly in wooden crates and are loaded directly onto transatlantic container ships. Once they arrive at our Florida distribution center, window sills are packed for shipment to our customers in specialized, stackable wooden carriers that are easily loaded onto trucks. Breakage is kept to an absolute minimum. We ship marble window sills throughout the country. Our company contracts with some of the most dependable shipping services and will guarantee delivery dates and locations. Our beautiful marble sills are purchased in bulk by floor tile retailers and home improvement chains. Our bulk shipments are received by commercial customers and sold individually at tile distributors and home improvement stores. However, we also maintain healthy business relations with other members of the construction industry. Who else needs to buy wholesale window sills other than tile distributors and home improvement stores? Tile contractors, drywall contractors, window companies, and window installation companies along with shutter companies all receive large orders of marble window sills in order to complete the construction project. Quite often, specialized building contractors such as drywall professionals and flooring installers have the expertise to install marble window sills. If the project is large, such as a condominium complex, bidding on the job of sill installation is worth it if the wholesale price is right. 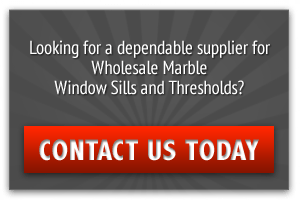 Window companies can attract new customers if the price of top-quality marble is affordable to the residential or commercial customers. Ordering these products in bulk will ensure that plenty of products are on hand to complete even the largest commercial building or remodeling contract. Construction jobs often call for a specific color shade and texture of marble. We stock the most popular styles of marble window sills, and our products are available in all sizes called for in the building instructions or job plan. 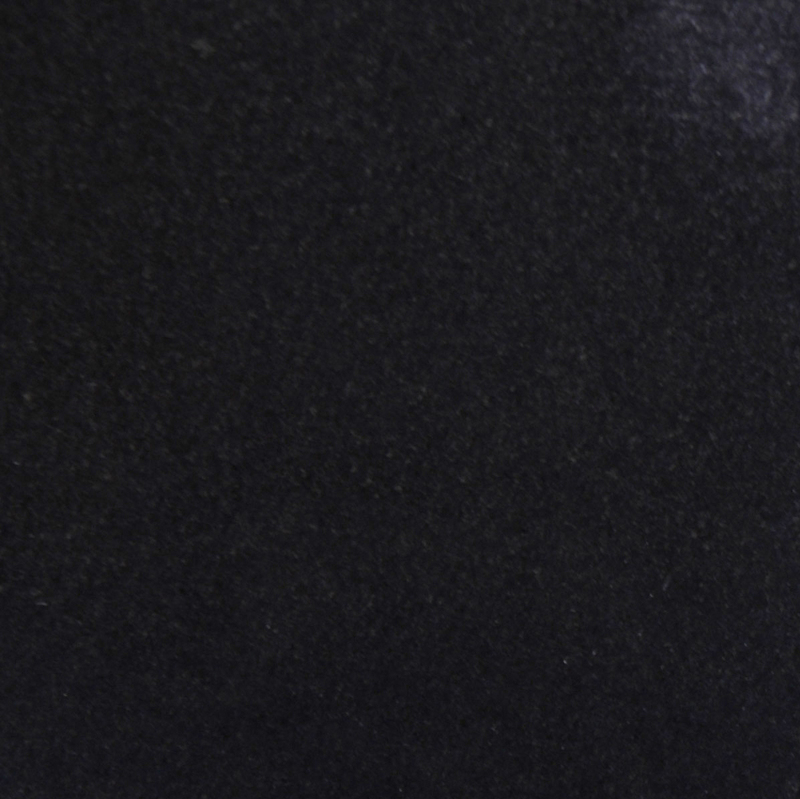 Absolute Black Granite is one of the most commonly used color shades. It is brilliant and lustrous, available with a polished finish, and is expertly cut by our manufacturing operation to exact size. 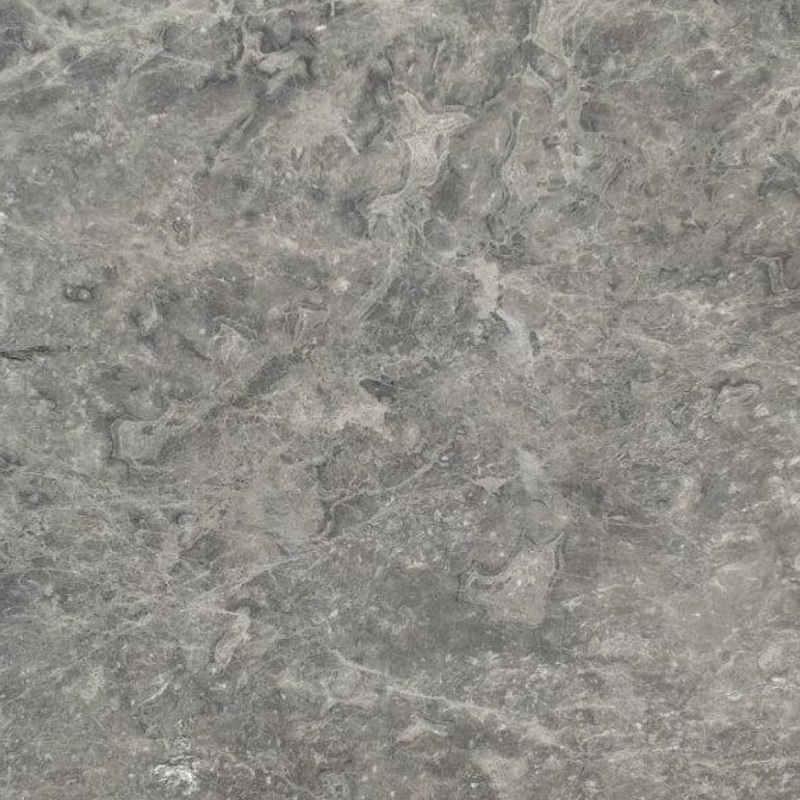 Absolute Black Granite is perfect for use on orders calling for China Black or Black Galaxy. We stock Absolute Black Granite window sills in 37-inch and 74-inch lengths, 6-inch width, and 5/8-inch thickness. The 74-inch sills are available in both flat and curbed style. Carrara Marble is a beautiful white/gray stone that is often used when a statelier, rustic appearance is desired. This is the marble shade so often seen in building interiors for use as columns or floor tiles. Matching window sills complete the wonderful look of any room that uses a similar shade such as Georgia White, Alabama White, Oriental White, or Carbonia. 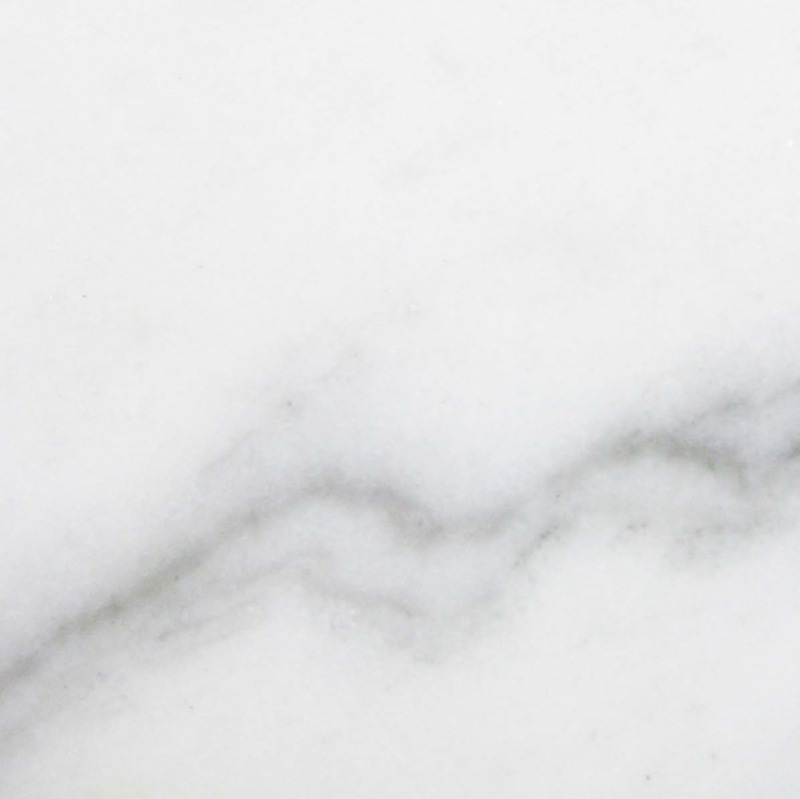 Carrara Marble sills are available in 74-inch, 56-inch, and 37-inch lengths. Widths vary from 4-inch to 18-inch, and the standard thickness is 5/8-inch. 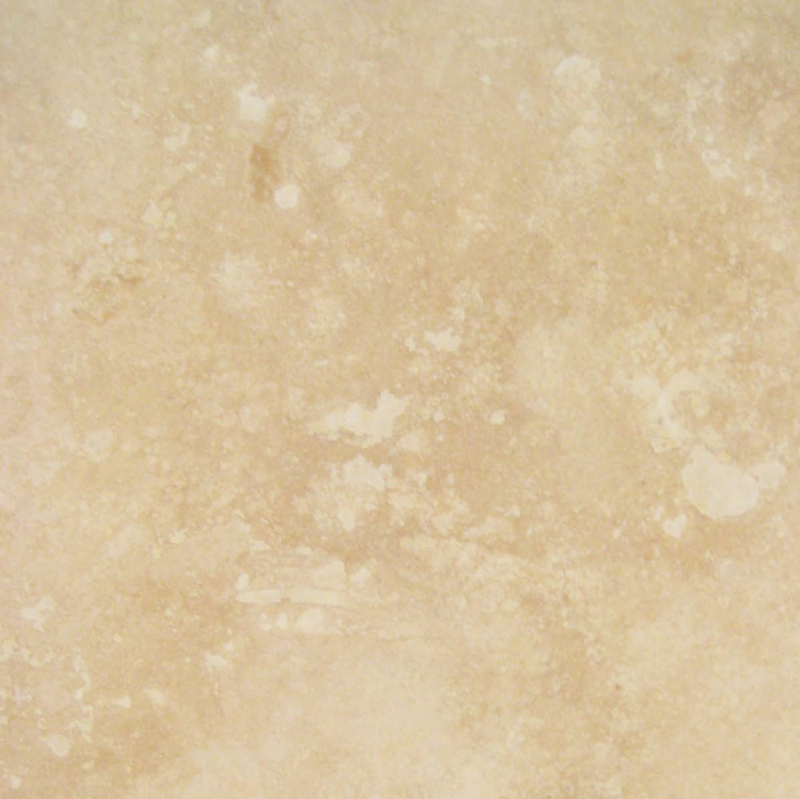 Crema Marfil is cream/beige and works quite well when the order calls for Botticcino or Bursa. 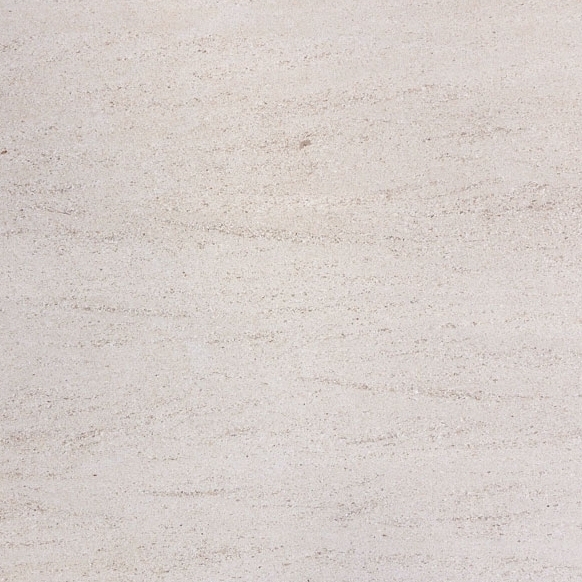 We supply both honed and polished Crema Marfil in lengths of 74-inch, 60-inch, and 37-inch sills. 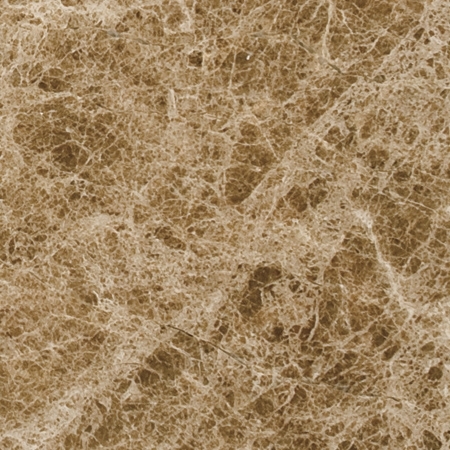 Because Crema Marfil is used extensively as a flooring tile, matching the window sills to the floor shades often requires the use of this popular stone. The 60-inch length Crema Marfil window sills are available in either flat or curbed style. Our window sills are designed to fit any standard, square-cut window opening. Marble is an excellent choice when it comes to providing a sealed moisture barrier between the indoor and outdoor environments. Orders for non-standard sizes and thicknesses are our specialty. We will be happy to arrange an order of mixed product, sills with non-standard lengths, and with special curb designs. Additional lead time may be necessary to arrange a non-standard order. However, we can use the order given and restock our customers’ inventory once the initial order has been received. Once an order has been received, we promptly forward the instructions to our manufacturing and cutting operations overseas. The usual lead time for generating a bulk order is about eight weeks. In addition to our top-quality marble window sills, we also supply our commercial customers with floor thresholds and floor tiles. Our inventory contains all the popular sizes of ADA compliant bathroom curbs and thresholds, available in the same marble shades as our window sills. Customers interested in bulk orders are invited to contact our sales staff with an estimated number of pieces. If the order meets our minimum requirement, we will generate an immediate quote that includes shipping information and delivery dates. We understand that not all customers need to stock a heavy supply of marble window sills at all times of the year. Depending on the climate, building seasons vary and the inventory at our customers’ outlets varies accordingly. This is why we encourage our customers to place an order large enough to carry through the heavier summer building season. Since most building and remodeling contractors bid on projects well ahead of the date the actual product is required, purchasing from an importer/wholesaler makes good financial sense. Our full crates mean very accurate pricing information, something absolutely necessary when considering a job bid. Even in the off-season, retailers such as home improvement centers and tile distributors want to give the customer the lowest price possible. Maintaining an inventory of the most popular marble window sill shades and sizes is easy when ordering in bulk from a direct importer. For the very latest information on product availability, minimum size requirements, and shipping policies, we invite prospective commercial customers to speak directly with our knowledgeable sales staff. Remember, we ship throughout the country and maintain a full inventory on the most popular sill lengths and styles. Smaller orders of approximately 100 pieces may be available for direct delivery without the need to send an order overseas. 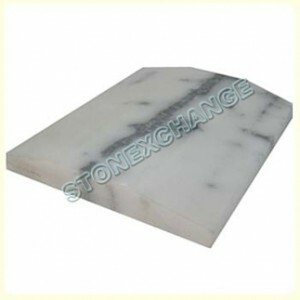 No one beats Stonexchange when it comes to rock-bottom prices on the world’s finest quality marble window sills. Whatever the job requirement, we have the proper material, the finest distribution service, and the lowest per-piece cost in the industry. Contact us today for more information.